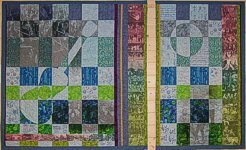 You can see more about this quilt here. Fabric collage made of 2 cm (3/8'') squares . 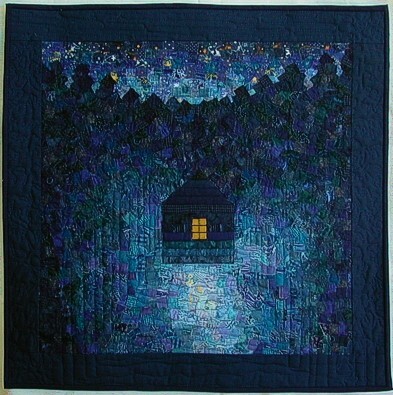 Go here to see how the quilt was made. Below are hangings for lectern and pulpit in the red and white series. Made for Frøya Church, Kalvåg, finished March 2006. 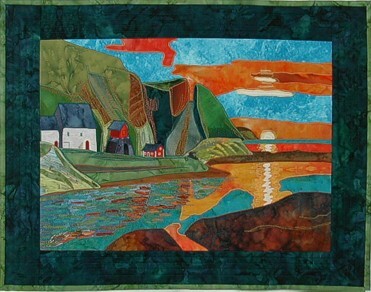 A series of smaller quilts. Freehand machine applique and quilting on a black background fabric. Approximately A4 size.